Video and audio files can be displayed in players in a blog post or page. You might want to know: How much space do I have on my Blog. You start by creating a post in the usual way. Put the cursor where you want the gallery to appear and click the Add Media button. This will open the Insert Media Screen. 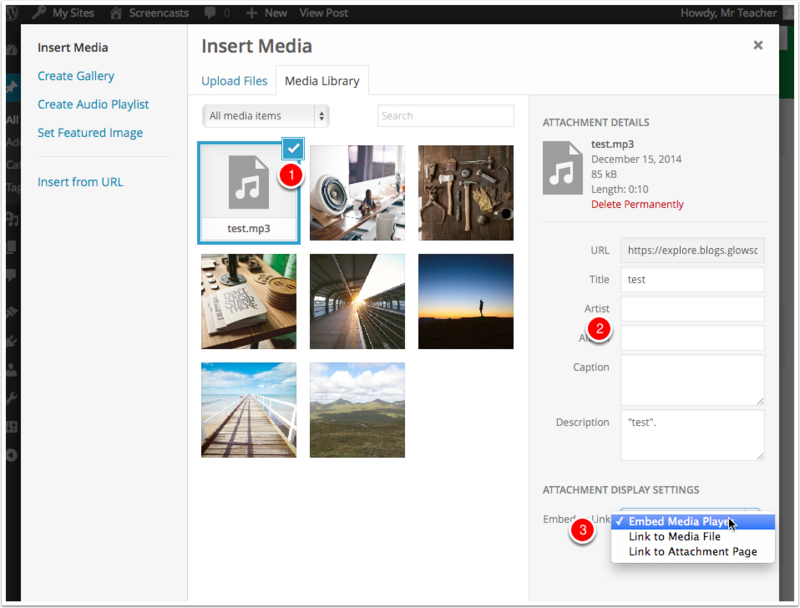 If you have already uploaded the media you want to add then you can select it from the Media Library. If you need to upload click the Upload Files Tab. 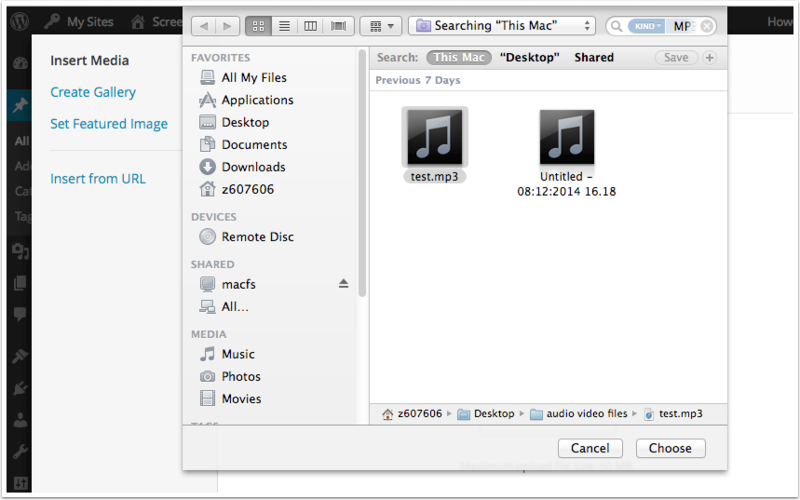 You can then either drag and drop files onto the screen or click Select Files. If yuo clicked Select Files in the previous step the system standard file browser will open. You can select files and Click Choose (or select). The File will upload. 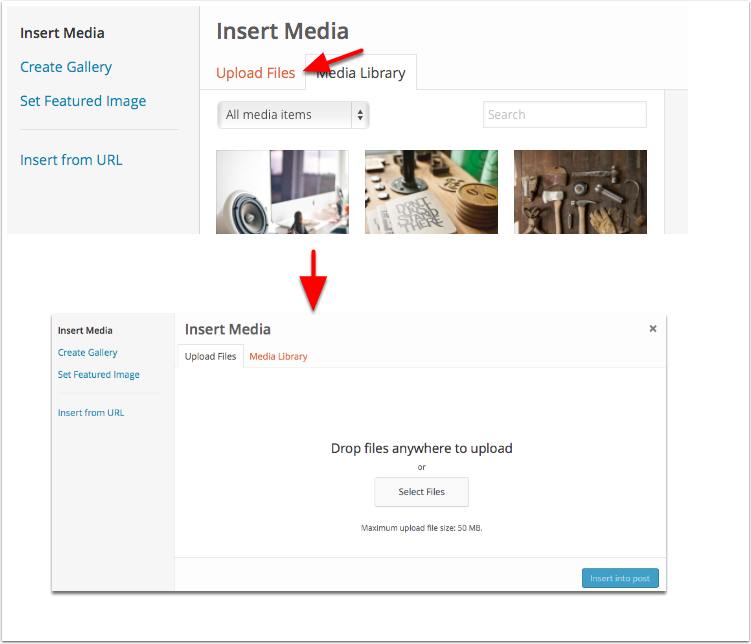 Once your file is uploaded it will be selected in the media picker . Any metadata from mp3s will be displayed . You can choose how you want the media to be displayed . Gernerally you will wnat to embed the media so that it can be played or viewed. When you are ready cilic Insert into post. The Media is inserted into the post editor. 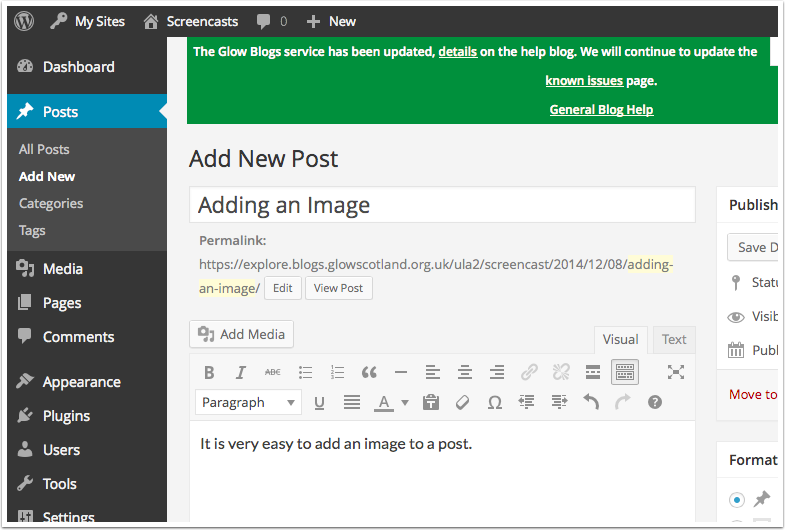 You can now finish off the post in the usual manner. Different browsers and operating systems will treat media differently. Different versions of browsers and operating systems will also affect things. for example .ogg audio files will play in Firefox, but will download in some other browsers. WMA files may not play on a macintosh system. Video Player Tips describes some advanced settings for embedding video. When you add media as a link, a URL is created and even when the media & link are removed from a page or post the URL still remains available if a user copied this – how can I remove the URL when a media is no longer to be available? I have removed the link from the page and media from the library but a user had saved the URL for a document that is no longer to be available!!! Jo answered this one herself and let us know in an email. As always, any hints or tips would be appreciated. Yes you can request more space through your LA, they need to contact the RM help desk. Make sure to include the blog URL. Longer term it may be worthwhile thinking about which images to display rather than uploading a large number. A few well chosen and captioned images may be of more interest that a huge gallery.